Always love a great template!! 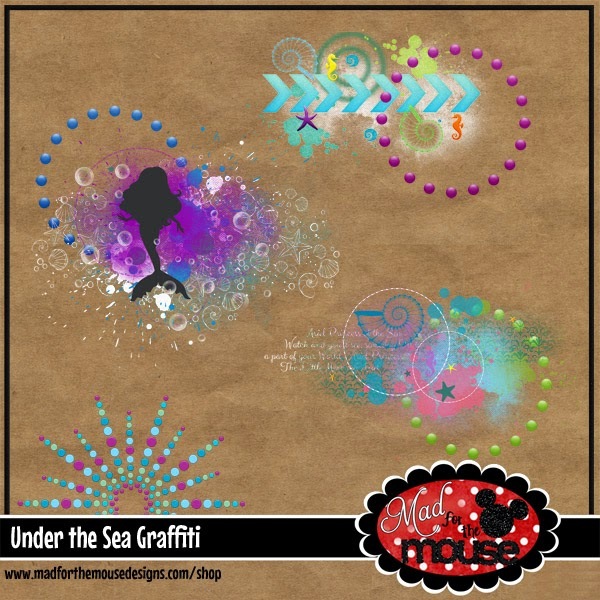 Michelle released her new kit "Under the Sea" (see post below) and with that was "The Great Divide Templates Vol. 1". 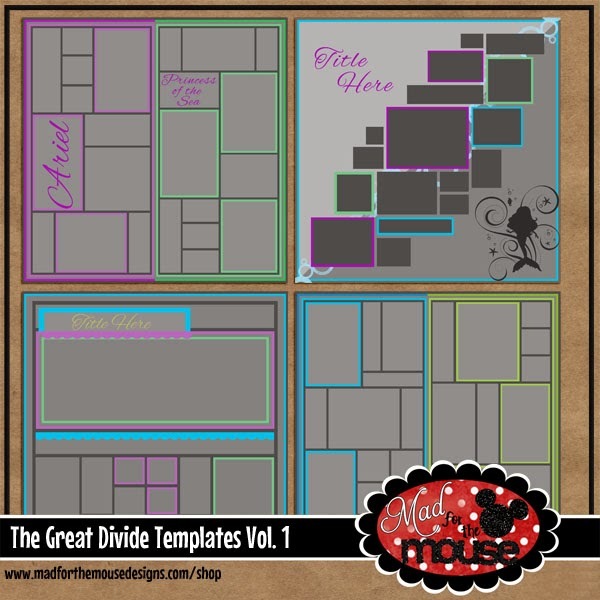 I absolutely love templates and these are so much fun! 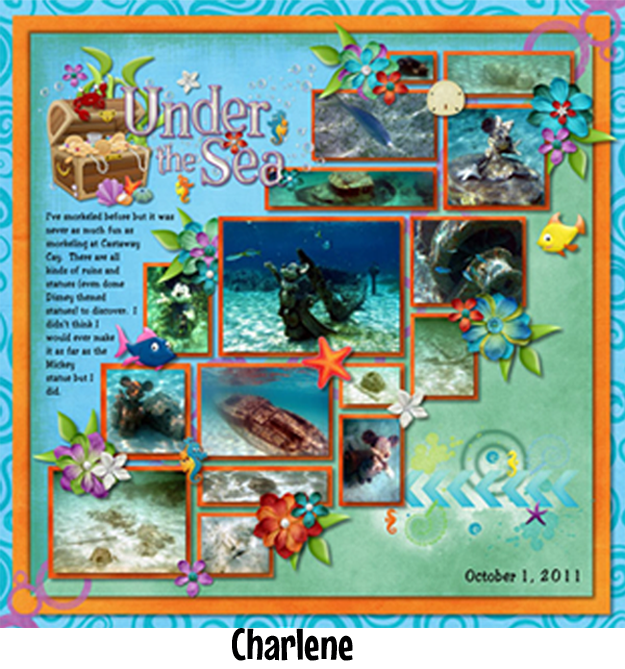 Your creativity can really soar with a great template .. turn it .. change it up and remove items and put else where .. you get the idea. 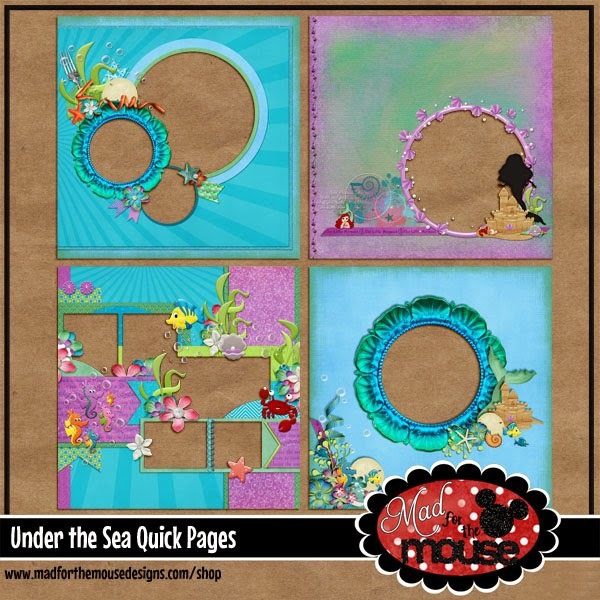 Just click on the layout below and it will take you to Michelle's website .. Mad for the Mouse .. so you can pick these templates up! 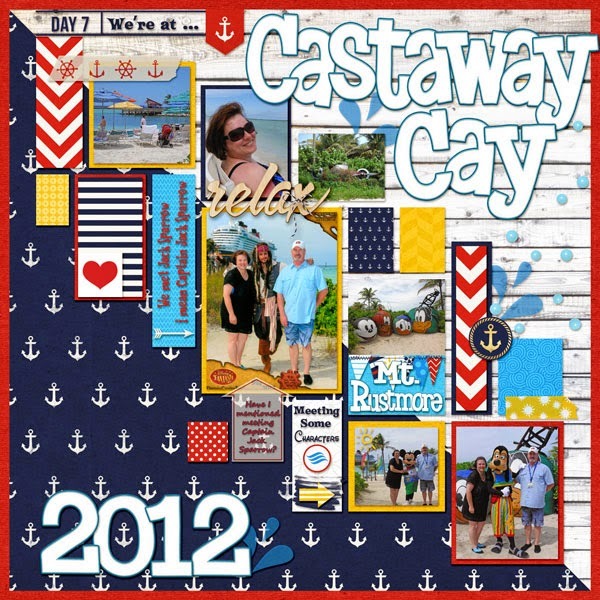 This layout is for the Weekly Challenge at MouseScrappers and also uses Project Mouse (at sea) from Brittish Designs & Sahlin Studios ... plus Blue White & Light Blue Alpha from Kellybell Designs. 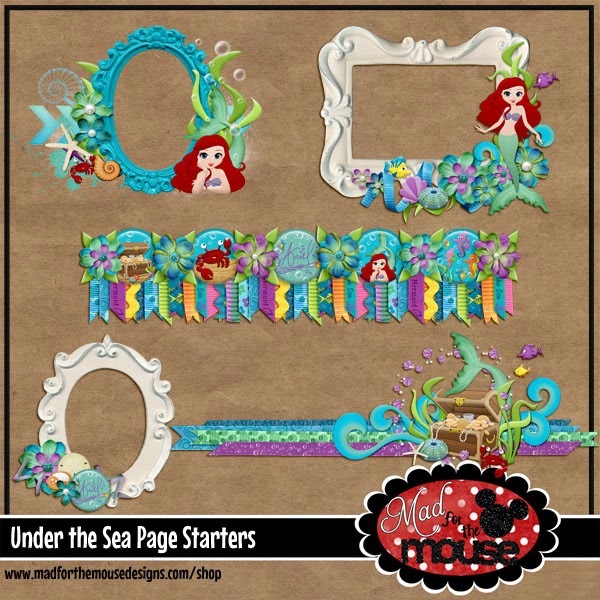 Make this Kit a Part of Your World!! 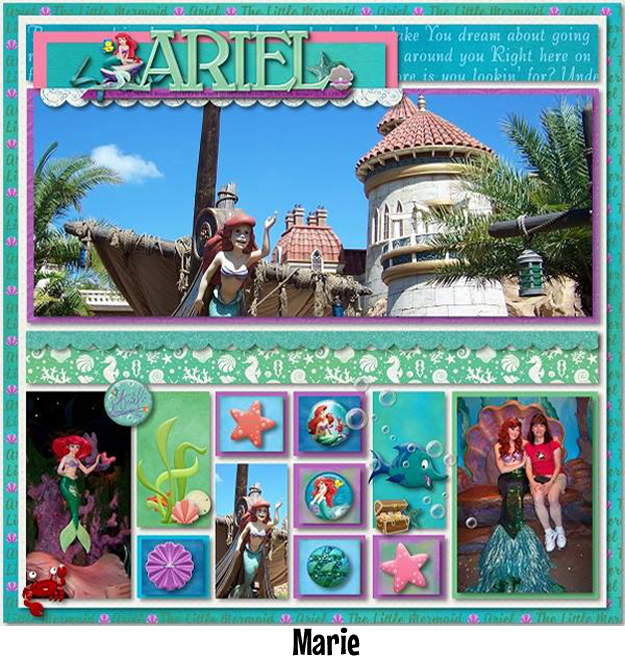 Today is the day Ariel can be part of your world!! 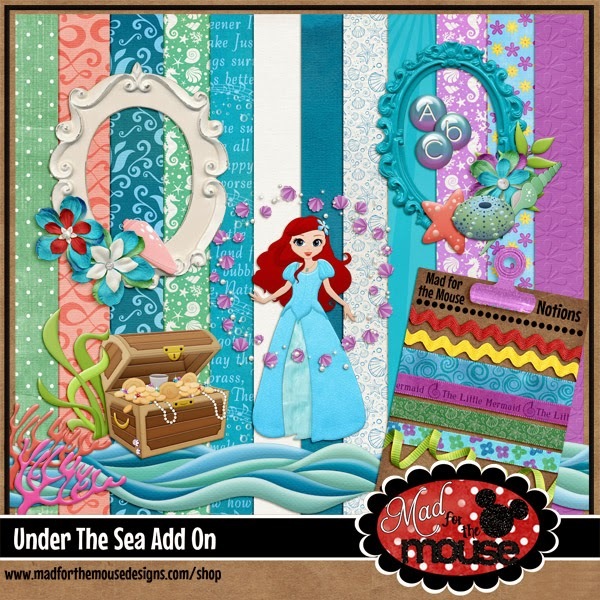 Michelle's new kit is chalk full of things to help you create pages celebrating meet and greets with Ariel, the ride The Journey of the Little Mermaid, the production of the Voyage of the Little Mermaid, your stay at the Art of Animation and even a breakfast with the Princess herself! So check out what her new kit has to offer! 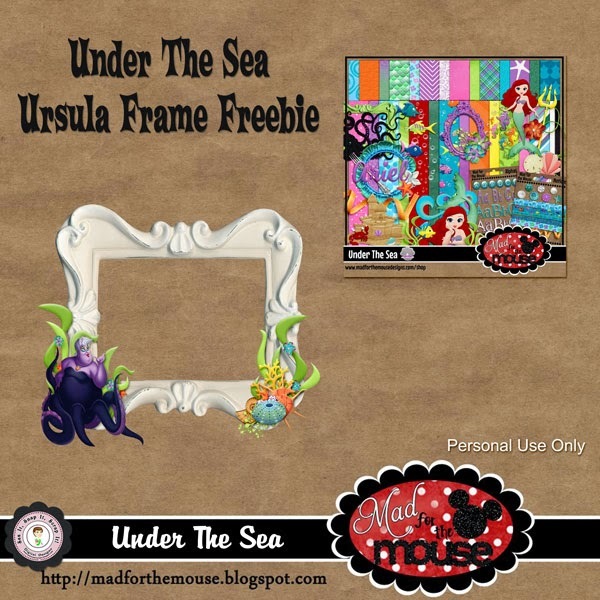 Here is my Ursula Frame Freebie ... just click on the preview below to download. 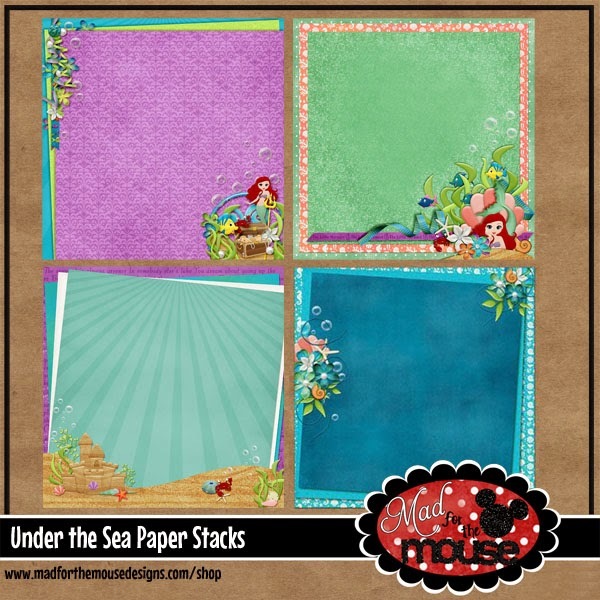 Make sure you hop on over to pick up some more great freebies!! 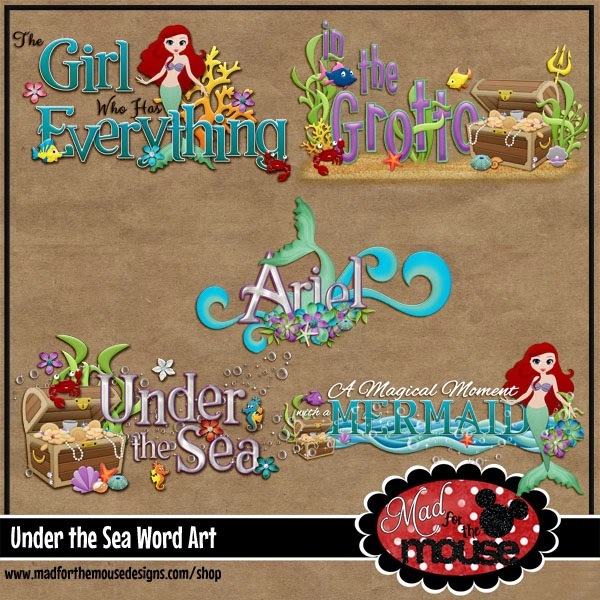 The girls worked hard on these!! Thanks for stopping by! Have a Magical Day!! 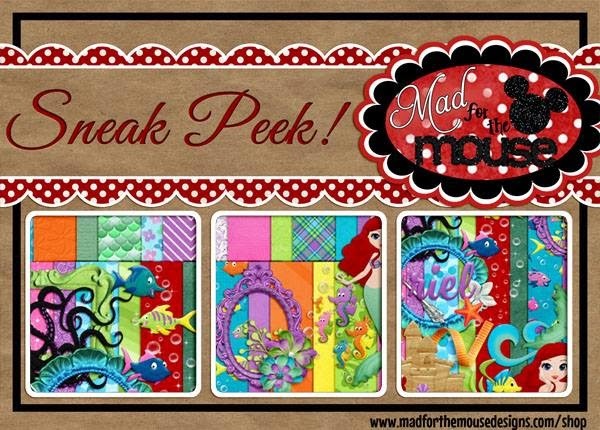 It's Sneak Peek Wednesday!! 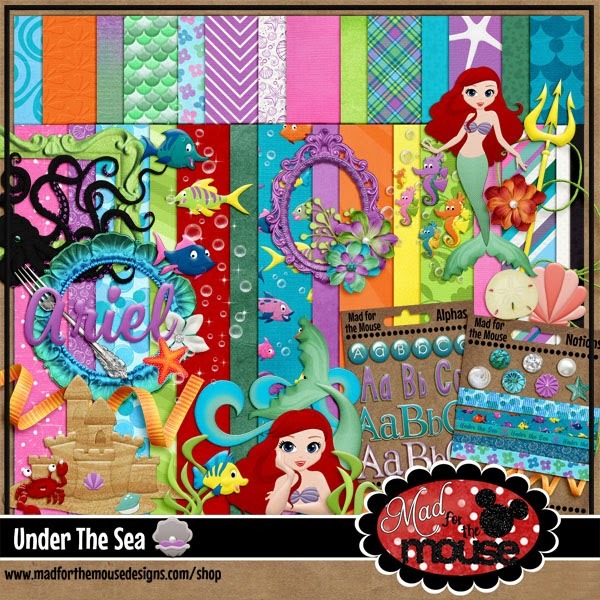 Make sure you visit Michelle's blog for a chance to win a free copy of this fantastic kit on Friday!